A day of free events inspired by the life, work and legacy of Andrea Dunbar. The group curating the day is made up of female artist and makers who have been involved in our 2015 – 17 Young Court programme of work. The work is part of the Young Court’s mission to expand the Royal Court’s commitment to new voices through ambitious work with young people and communities. 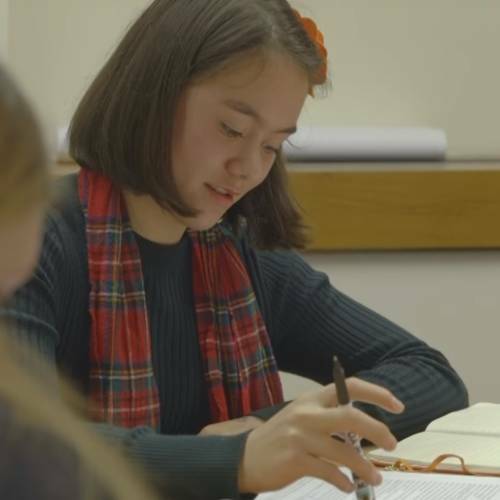 Since October 2017, as Rita, Sue and Bob Too toured the UK, eight young female writers, four from London and four from Bolton, have been taking part in playwriting workshops led by writers Laura Lomas and Rachel De-lahay. Their work will be read to an invited audience as part of the day of events. Writers: Jasmine Jones, Ambrin Mcbrinn, Jess Steadman, Beattie Green, Abi Earnshaw, Beatrice de Goede, Katy Hammer and Caitlyn Vinning. If you would like to attend the play-readings please email Ellie Fulcher from the Young Court team here. A series of installations displayed around the front of house space of the Royal Court Theatre. All the pieces have been inspired by the work of Andrea Dunbar and the work of young female writers. Curated by: Tara Tijani, Madeline Charlemagne, Taliah-Rae Hudson, Emily Mccormick, and Masha Kevinovna. A range of different female performers from poets to drag acts will be performing in the Royal Court Theatre Bar and Kitchen. This a space for a range of performers to share their work. This a free, non-ticketed event. The day is a collaboration between the Royal Court Theatre and Out of Joint.